Join Us for our Holiday Concert!! Don’t miss WindSync’s annual holiday tradition! Purchase your tickets by Dec 1 to get a Free WindSync CD and a chance to win one Free music lesson with WindSync members in your home! 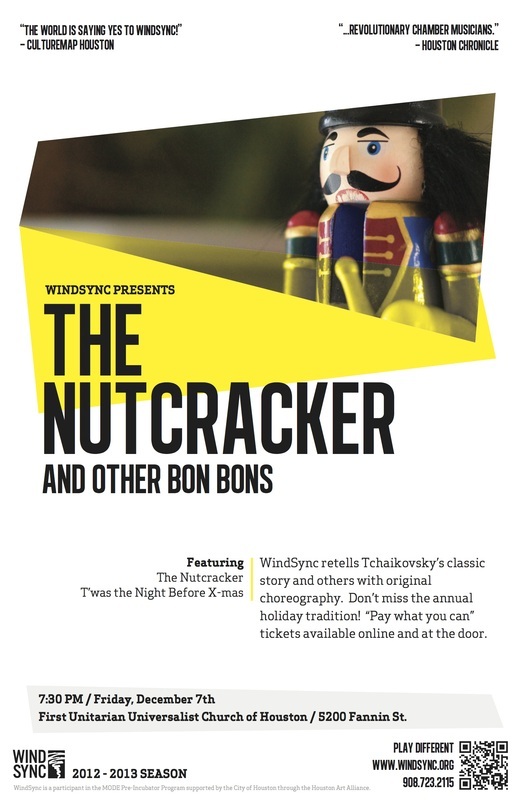 WindSync celebrates the winter season with a concert of holiday favorites and an original retelling of Tchaikovsky’s “The Nutcracker.” Complete with unique and innovative choreography and costuming, this concert event will entertain and inspire children, families, and community members. WindSync is non-profit organization dedicated to community enrichment and education of music and the arts. Please consider supporting our mission with a tax-deductible donation today! Your support makes a difference!